Rain has been scarce. The flowers and leaves were happy for a shower. BEAUTIFUL, Mary! I love how you presented several images in the montage! Très jolies gouttelettes comme des diamants. Nice montage, Mary. Good presentation. That's how its been here Mary as you probably know. A lovely selection of flowers. I can just see them being very very happy, Mary. What a great pictures you took here. LOVE the purple colours here. Wonderful presentation too!!!! 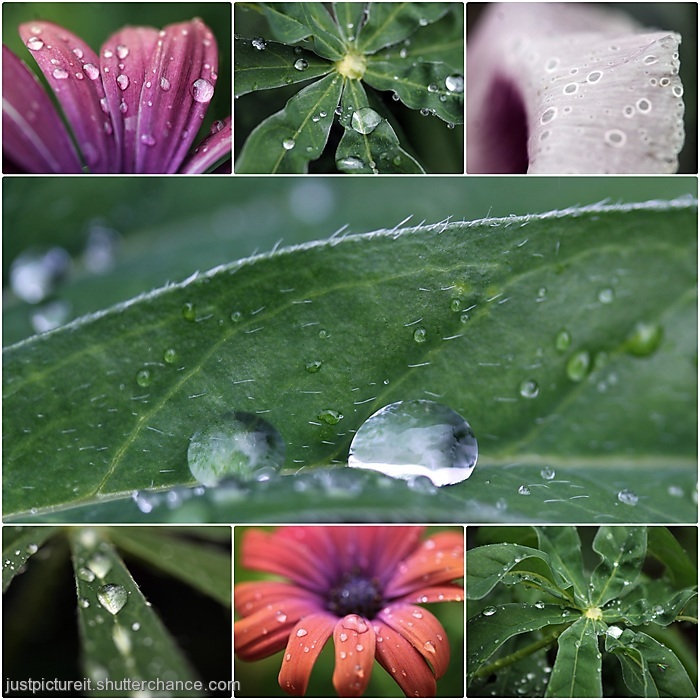 Just looking at these images after a rain shower makes me feel refreshed, Mary. Lovely! fantastic close ups, very well done, Mary. What a variety of drop catchers. Beautiful.